Maintaining the right tyre pressure might not feature among the important tasks in your busy schedule, but are you aware of the ‘price’ you are paying for this? 10% to 50% of tyre tread life is lost when air pressure is not adequately maintained. This means more frequent and expensive tyre replacements. Besides, driving on underinflated tyres brings down fuel efficiency. Maintaining the right tyre pressure saves fuel and money and increases tyre life as well. More importantly, failure to maintain adequate tyre pressure gravely increases chances of accidents due to tyre blowouts. 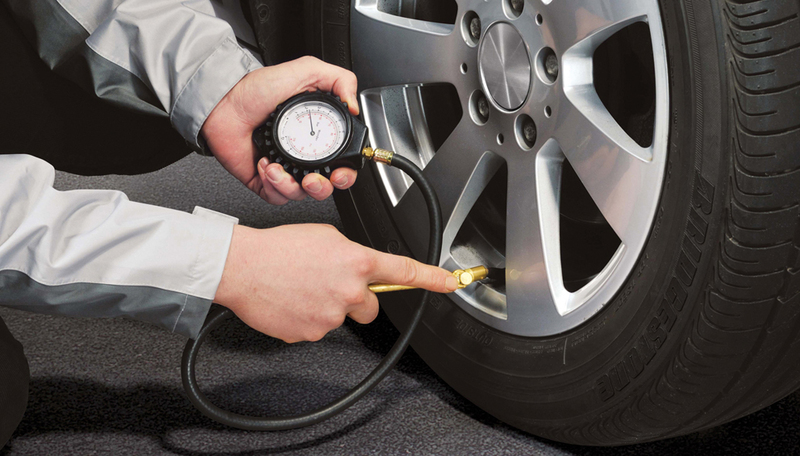 Factors that affect tyre pressure include the quality of driving, driving surface and seasonal changes. Sometimes a screw, a nail or any sharp object on the road might perforate the tyre, causing the air pressure to drop. In winter, usually the air pressure goes down one or two pounds per month, in summers the rate of air loss is much higher. Such a mechanism is called the Tyre Pressure Monitoring System or TPMS. By alerting you to low tyre pressure, so that you can remedy the issue at once, TPMS systems help you save money. This article looks at different types of TPMS systems and how they work. TPMS systems monitor the air pressure and help drivers detect underinflated tyres before a possible blowout or an accident on the road. It is an electronic system that reflects air pressure by means of a low-pressure light, a pictogram display or via a gauge. Sensors equipped within the tyre or in the car, deliver information about the tyre’s pressure status to the technological modules in the car. The modules are pre-set with several acceptable parameters, and the moment there is unusual information it gets highlighted. Since 2007, it became mandatory for all motor vehicles to be equipped with a suitable TPMS systems. This method uses the wheel speed sensors equipped in a vehicle’s antilock braking system to compare rotational speeds of tyres. If the pressure is low, the rotational speed per mile will vary in the underinflated tyre/s and reflect in the vehicle’s on-board electronic monitor accordingly. However in this case, each time the tyre is inflated, the TPMS has to be reset to maintain accuracy of readings. Compared to the indirect method, this monitoring system provides more accurate results and can detect changes instantly. In this type of TPMs system, a pressure sensor is attached to the wheels. The receiver in the vehicle warns the driver immediately of the pressure drop in the affected tyre. This information is often sent as a radio signal wirelessly. Sensors which are usually equipped inside the tyre, have a battery life of about a decade. Tyre technologies have come a long way since the early days and TPMS systems are definitely a useful innovation that keep you safe and save money too.